Need hockey gift ideas for that special hockey player? View our gift selection for special occasions, birthdays, and holiday gift ideas for all types of hockey skaters. Gift Certificate Details: Good for all purchases at www.HockeyPants.com. Once purchased the Gift Certificate is emailed to the recipient. To use the Gift Certificate, just enter the Gift Certificate number during Step One of the checkout process. Choose "View Gift Certificate Balance" from the "My Choices" select box on Step One of the Checkout Process to View Your Balance. Gift Certificate Balances will never expire. 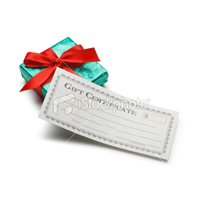 Gift Certificates can be applied to Sale Items, Promotions and Discounts.